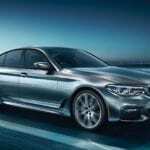 What’s to Come for the BMW 3 Series in 2019? The BMW 3 Series has always been presented as one of the most universal examples of a driver-centric vehicle. As beloved for its accessibility as it is for its engineering prowess, the 3 Series promises some exciting advances for 2019, courtesy of its ‘G20’ series. We may not find out everything we want to know until well after the Paris Motor Show, this October but here are a few of the advances that managed to grab hold (and still haven’t let go) of our attention. Upgrading the 2.0-liter engine, BMW has remained somewhat secretative about final ratings. That said, they’ve let enough slip to estimate that horsepower will break the 250 hp mark (over the current 248 hp rating of the 330i) while the torque rating could approach 300 lb-ft (a significant jump from the current 258 lb-ft). And with BMW’s recalibration of the eight-speed automatic gearbox, fuel consumption may be minimized by as much as 5%, providing another compelling incentive to consider the 2019 offering. 2015 introduced a steel-aluminum-carbon fiber cluster architecture for the 7 Series (G11), and the new 3 Series (G20) will be built upon the same. In addition, it gains a limited slip differential, making it the first not-“M” Series BMW to do so as part of its sport dynamic engineering. In addition, it employs groundbreaking (in terms of BMW) lift-related dampers. This means that the suspension adjusts based on the load weight to regulate travel, ensuring a firm and consistent experience that will be integral to the evolving suspension of the M-Sports lineup. Needless to say, the BMW 3 Series reputation as a ‘driver’s car’ shows no signs of changing anytime soon. In fact, it’ll be interesting to see just how much that reputation grows in the years to come.